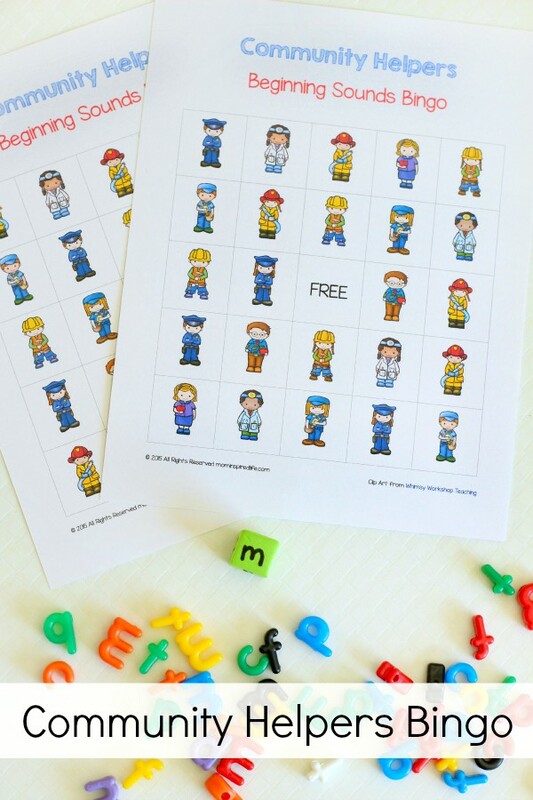 This community helpers bingo game is a great addition to your neighborhood theme lesson plans. 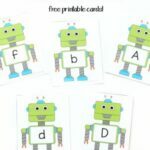 It is a fun way to play and learn letters of the alphabet! 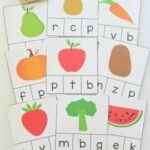 My son is always up for a good game, so turning letter learning activities into games is perfect for him. This one didn’t disappoint. He enjoyed it the entire time! 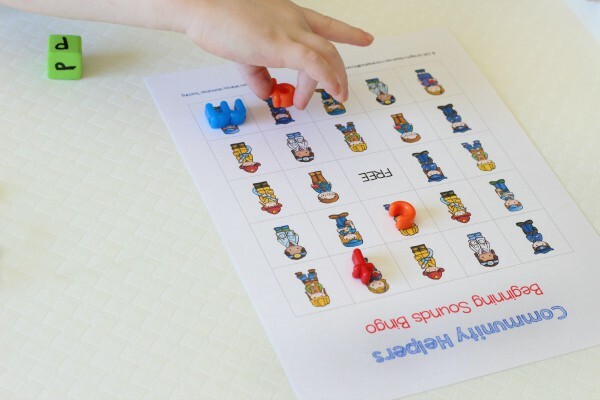 I made 4 versions of the bingo cards so this game lends itself to independent or small group play rather than a whole classroom playing at once. 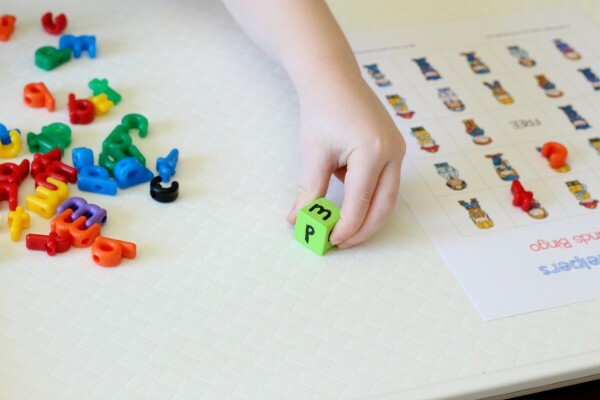 *Using letter beads is an added option for more alphabet practice. 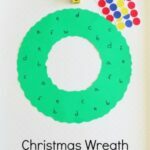 Children could also just use pom poms, buttons, foam shapes or something else to cover the community helpers. Print out the game cards. I like to print them on card stock for more durability. Make a letter die. I wrote one beginning letter for each helper on each side of the die. That would be the letters c, f, d, m, t, and v.
If you don’t want to make a letter die, you could print an extra game board and cut it apart so that you have individual community helper squares. Put those squares in a bag or bowl. Then players can simply draw a square and find the corresponding helper to cover on the bingo card. There are various ways you can play this game, so you should be able to tweak it to meet your individual needs. The first way my son played was independently. He rolled the letter die I made specifically for this game. Then he identified the letter on the die and looked for a community helper that started with that letter. When he found the helper, he covered it with the corresponding letter bead. This continued until he had covered 5 community helpers in a row. You could also just use this as a roll and cover activity. 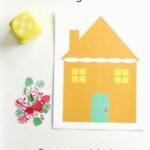 The child would cover all of the community helpers on the card with a corresponding letter bead. The use of a die is optional for this version. Children may also play in groups of 2-4 students. This would be perfect for small group time with the teacher or a literacy center. Each child would take turns rolling the die and covering the helper with that beginning letter. The first player to get 5 in a row wins! 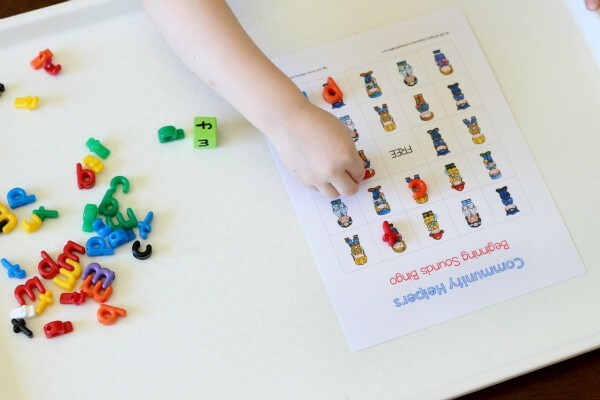 The final way to play, would be with the teacher calling out a letter or letter sound and having students find the corresponding helper to cover on their bingo card. 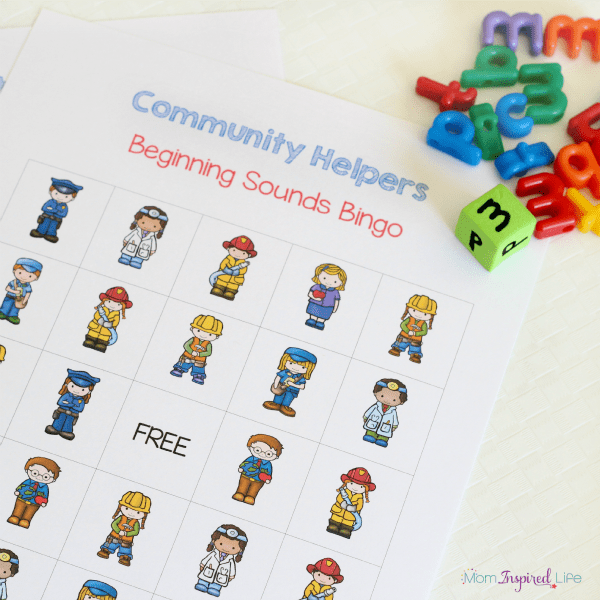 If your children are still too young to identify beginning sounds, you can simply play this by calling out the names of the community helper and they can cover the helper on their bingo card. 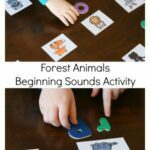 There are so many fun ways to play this game and very little supplies needed, so it’s a great activity to add to your neighborhood theme lesson plans! Check out all of the other neighborhood theme posts from the ECE Team below!